Some define corporation to mean “a human being with no soul;” of course this statement makes an important point even though it is not literally true. 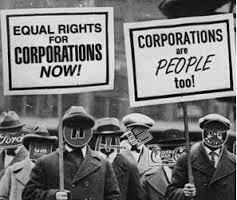 A corporation is not a human being, but it is an “artificial person” (a legal fiction) who acts legally, by, for example, entering into contracts, buying and selling property, suing and being sued. 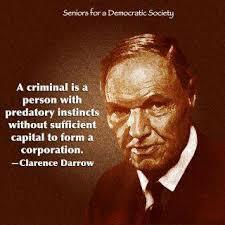 And, as an “artificial person” with no soul, the corporation, whether profit or not for profit, will act accordingly. Human beings with souls in a corporation act within an unnatural, soulless, Godless, state-created fiction; because of the contracts created by their act of incorporation, all disputes can be taken to secular courts where only man’s law and rules will be tolerated; do not try to argue God’s law in that environment. The “church” non-profit corporation will be polluted to some degree, greater or lesser, by the immoral, soulless part of the two-headed monster. “Christian” churches, wiccan churches, planned parenthood, etc. are all under the same non-profit corporation status. Many secularists understand the nature of incorporation. The statements in a recent article on corporations “Corporations had been viewed as artificial persons for millennia” (click the blue title to go to the article) gives some of the characteristics of incorporation. I urge the interested reader to read that article. 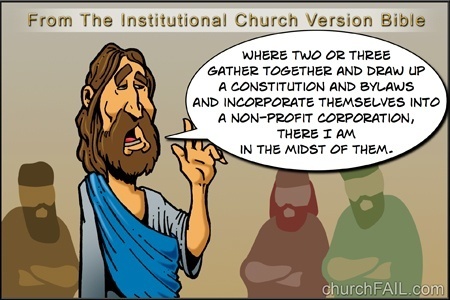 The article concerns business corporations; but, although some of what the article says cannot be applied to church incorporation, much of what the article says is applicable to non-profit church corporations. I have explained the intricacies of church incorporation in the Section VI of God Betrayed/Separation of Church and State: The Biblical Principles and the American Application (PDF, Online Version, Ordering Information) and in Separation of Church and State (PDF, Online Version, Ordering Information). Those resources thoroughly analyze church incorporation for the believer who has an open mind, some degree of intellect, and some Bible knowledge and wisdom about the principles of church, state, and separation of church and state—those requirements eliminate most believers and pastors, especially fundamental Baptist pastors. 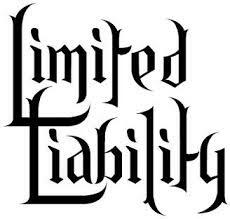 [I cover “limited liability” for church corporation members in the article “Spurious rationale for church incorporation: limited liability/Incorporation increases liability of church members.”]. 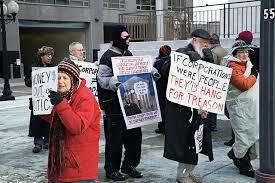 Other parts of the article (the parts dealing with rights of corporations to make political expenditures under the First Amendment free speech clause, the role corporate money plays and should play in democratic politics, the dangers of giving too much power to corporations to allow corporations to participate directly on political campaigns as a threat to democracy) apply to some degree to church corporations. All one has to do is look at the operations of, for example, the average “fundamental church and her pastor, the average seminary or Bible college and what they teach, and the words and activities of the lawyers involved with those institutions to see the application of those matters. That is all the author will say about that in this brief article. Fundamental Baptist tradition perceives the truth to be that churches are to incorporate and get 28 U.S.C. Section 501(c)(3) status. At the same time, that tradition preaches that the Bible is to be the sole source of truth. The reality is that the biblical doctrines of church, state, and separation of church and state disprove the first mentioned Baptist tradition. 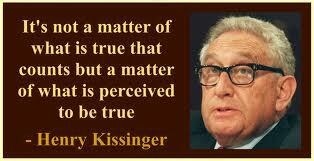 But after all, it is the perception of the truth, not the truth, that matters. The principles proclaimed in this article have now been tested and will continue to be tested and honored by the men of OPBC, a church who seeks to obey God in all matters. See the latest test at: OPBC Street Preachers Actions against University of Minnesota Peace Officer who acted unlawfully; for more, see also, Articles Dealing with Street Preaching and Attacks on Street Preaching. God is pleased when believers do things as he has instructed them in the Bible; whereas, using methods contrary to God’s word will, sooner or later, result in negative consequences. As a result of doing things God’s way, no OPBC street preacher has ever been arrested, the police in cities who have been educated by communications with the Chiefs of Police, City Attorneys, Mayors, and city council members of various Minnesota towns and cities. OPBC street preachers stood their ground on the field while gaining the respect of police and city officials. As a result, the police in cities dealt with now protect the street preachers and put those who would assault them or apply the “hecklers veto” in their place. One’s heart, flesh, emotions, and reasoning tell him, when his civil rights are violated, to sue for damages, including vindictive damages; and as a lawyer, I am taught, in civil cases, to go for everything I can get. Are man’s heart, flesh, emotions and reasoning consistent with God’s Word – the believer’s God-ordained sole source of faith, belief, and practice? What does the Bible teach about this important issue as related to illegal official interference with street preaching? That is the subject of this article. Both the goal and the method matter to God. An active believer with good intentions but the wrong methodology can do great harm to the cause of Christ. Of course, street preaching done correctly according to Bible principles is immediately beneficial. However, legal action which does not comply with Bible principles is not wise and harms the cause of Christ. When a ministry takes proper preemptive action when trouble from authorities is anticipated or encountered, God is glorified, His Bible methods are honored, government officials including peace officers, city counsel, and mayors are educated in the law; a good working relationship is established with those officials, especially the police; and the effort and considerable time needed to pursue the issue in court can be used instead for doing the works God has commanded His churches to do – it is a lot easier to take proper action before, not after, encounters. A good example of taking the wrong course of action is Miller v. City of St. Paul, 823 F. 3d 503, from the federal 8th Circuit Court of Appeals (click to go directly to case). First, the actions of the David Miller as described in the facts of the case is commendable. David Miller is a great man of God who tirelessly works for our Lord. I admire him. However, the case illustrates (1) the considerable time, effort and resources involved in litigating such a case; (2) that during litigation, even good lawyers can make costly mistakes, errors in procedure, evidence, and so forth; (3) that simple preemptive action would have allowed David to do what the Lord led him to do on the street and avoided any need for such consuming after-encounter legal action. Notice, if you read the case, that the police officer bluffed him-the actual city policies did not comport with her orders and actions. Because of the officers deceptions, David left and filed suit after the fact. The city, which was included in the suit, had a policy which favored David and was not liable. Only the individual lone-wolf officer was in the wrong. Hopefully, the concerned believer will read and study the Bible reasoning and conclusions in this article in an effort to examine not only himself, his motives, and his methods but also the assertions herein. If he can show this author and OPBC where they are wrong according to the Bible, he can greatly help the cause of Christ by honest Holy Spirit led communications. All our desire should be to please our Lord by doing things His way. “The night is far spent, the day is at hand: let us therefore cast off the works of darkness, and let us put on the armour of light” Romans 13:12 . Mt. 5.10-12, 38-48; 6.8-15; 18.21-35; Lk. 6.27-46; 9.51-56; Ro. 8.28; 12.9-21; 13.8-14; 14.19; Ga. 6.10; 1 Thes. 5.15; 1 Ti. 3.1-7; 2 Ti.1,8; 2.8-12; 3.12; 3.12; Ja. 3.17; 1 Pe. 2.9-25 (esp. 15-16 and 20-25); 3.14-17; 4; Ge. 50.16-20; Le. 19.18; De. 32.35 and other verses. My beliefs about this matter of suing for damages were challenged the way that most, if not all, Fundamental Baptist preachers address issues – in a sermon at a future meeting. Instead of in-depth, studied communication in a search for truth, their chosen method is preaching since the pastor is the boss. If he has a concern or if he needs to be uplifted, he goes to other pastors in his chosen circle, the “clergy,” the chosen ones and perhaps a “layman” or “laymen” in his church who are fully persuaded that the “man of God,” the pastor, as boss, is the only one accountable to God and that whatever he deems to be the truth is the truth. Many lost people understand that counsel as to their worldly concerns is profitable. “… For the children of this world are in their generation wiser than the children of light” (Lk.16.8b). I was anxious to hear the pre-announced sermon since I had hopes that the preacher, a man for whom I had and have a great deal of respect, would take out his Bible and “show me” where I was wrong. He did not. He explained that after he filed suit in a case where the law enforcement violated his First Amendment rights, the police whom he included in the suits suddenly started treating him with the greatest of respect, that he won quite a sum in damages, etc. He relied on one verse which I do not remember but which did not support his position and a portion of another verse: “earnestly contend for the faith which was once delivered unto the saints” (the last part of Jude 1.3; Jude deals with apostates and apostasy in a church). To understand “how” God wishes a believer to react to a violation of his constitutional rights exercised in the public forum (the method) one has to do some serious Bible study. Verses taken out of context are often used to support heresy. We talked briefly after his message, but he never offered any explanation of why I was wrong. He did give me some unneeded advice on how to proceed with an injunction. His sermon and our brief conversation were cordial but unfruitful. I still love him; I only mention this to point out the cavalier manner by which some very important matters are sometimes handled. Due to an incident in Faribault, Minnesota in which police officers violated the rights of men from the church I am a member of, Old Paths Baptist Church (“OPBC”) of Northfield, Minnesota, OPBC had to deal with God and His principles and earthly authorities head on. I found that my position, which at that time was no suing for damages whatsoever, was partially right and partially wrong. I learned this through talks with my pastor, Pastor Jason Cooley, and more Bible study as the incident in Faribault played out. Instead of preaching to me, he got out his Bible and examined Scripture and talked to me about it. It was important that we do so because it appeared that, in spite of all our sincere efforts to avoid litigation (getting federal court intervention), the City of Faribault, their Chief of Police, and the police department were going to allow a city code to trump the First Amendment speech protections for our men who were preaching in the public forum. All this is reflected in the correspondence in the Endnotes. Thankfully, the city through the Chief of Police, after I got the city attorney and city council involved in the correspondence, seems to have acknowledged that the First Amendment trumps a city ordinance. The law is given in the many cases I cited and quote from in my e-mail correspondence which is in the Endnotes below. Many police departments and police officers, including Chiefs of Police, like many Americans, make up the law concerning First Amendment rights. Those in larger towns and cities usually know the law of free speech in the public forum since they regularly deal with all kinds of activists. This is not true in smaller towns and cities where the issue has never arisen. Shame on believers and churches who have not followed biblical guidelines and done their duty to go into all the world and preach the Gospel in this nation where, unlike many nations, they can do so under the protection of man’s law. “Faribault police officers approached them. One of the officers arguably assaulted (petty misdemeanor assault) Brother Pearson as he was preaching by poking his with his finger as he stood on a stand street preaching. As the officer poked Brother Pearson with his finger he told him, “Get down from there. I said get down from there.” Brother Pearson kept preaching. The officer said that if they did not leave, they would be going to jail. One female officer told them that if they did not leave, they would be cited and arrested. She threatened them by saying they would cite them for violating Section 17-42(a) of the Faribault City Ordinances entitled “Nuisance noise” (See EN 2 for the whole ordinance). The preachers stayed on for a time, probably a little longer than they would have stayed had the police not interrupted their efforts, then they left. However, the tone of the police was such that they believed that they would be cited, and possibly arrested, the next time they went back to preach in Faribault. In an attempt to resolve the matter, I called city attorney on June 23, 2014. He suggested that I call the Chief of Police. I have had many dealings with police as a lawyer over the years, including examining them on the witness stand. I knew the “peace officer” mindset. But I decided to honor the request of the city attorney. I left a voicemail for the Chief. Then I sent him an e-mail (See EN 3 for the e-mail). In that e-mail, I told him what had happened and gave him links to the videos above, briefly explained the law, gave him links to materials which explained the law, told him that we were proceeding like this in hopes of settling the matter peaceably with the hope that “this whole matter will glorify God, uplift all involved and bring us closer together in love, strengthen and enforce principles which have made America great, and increase all our knowledge, wisdom and understanding of a vital matter. “etc. On June 26, the Chief replied by e-mail, since we were playing phone tag. In his e-mail, he explained that the officer who “tapped the preacher on the arm” was a community service officer – not an officer in the Faribault Police Department – that it was not an assault, that a person “has the right to free speech and can preach loudly and exclaim their beliefs in public;” but he went on to explain that “in the City of Faribault we do have an ordinance and a state statute that defines some behavior as public nuisance or disorderly conduct” and that “a citation can be issued.” He expressed his confident belief that “our State Statute” would “comply with the Hierarchy of Law and win challenges.” He went on to explain that correct his officers used correct protocol, were polite and professional, were responding to complaints, etc. It was clear, that citations would be issued for street preaching if citizens complained. He then explained the court process. In other words, he was saying that we could take it up with the trial court judge after the citations were issued. He still did not get it. He ended with, “The City of Faribault will continue to enforce the law and protect all citizen rights, as well as free speech.” Note. I have his e-mail on file, but am not publishing any of his e-mails. I will only do so if someone accuses me of falsely representing what was in the e-mail. Of course, I will not cover everything he said in his e-mails. Again, while this was going on, my pastor and I were not only discussing what was going on but also what we should do, according to the Bible, should one or more of the men be arrested in violation of the First Amendment. I will explain our conclusions at the end of this article. I sent Chief Bohlen a rather lengthy e-mail reply to his June 26 e-mail which is reproduced in EN 4. In that e-mail I 1) apologized; (2) gave him a link to a Youtube video of a Minneapolis policeman interacting with the men of OPBC on June 28, 2013 as they preached at a “gay” pride event, a link to a website page which shows what happened in Northfield MN when people complained about the street preaching in downtown Northfield and my credentials to speak on these matters; (3) presented requests for clarification of his position and some other matters; (4) spoke to the assault issue showing him why I thought that the officer actually did assault Brother Paul Pearson; (5) gave him specific law which clearly proves that it is unlawful for a police officer to arrest someone under color of certain types of statutes (disorderly conduct, nuisance, littering, etc.) laws when they are speaking in the public forum; (6) Concluded. In spite of all this, Chief Bohlen maintained his position which was that our men had a right to speak in the public forum; but that if someone complained the police could still issue a citation for violation of certain statutes. Of course, he would have understood he was wrong had he read and understood the law as laid out in my e-mails. It appeared that the men of OPBC would have to go to court for resolution. However, I knew that I needed to notify the appropriate city officials of what was going on and make sure that they shared his position, as he had asserted. To do so, I sent an e-mail reply to the Mayor of Faribault, the Chief, the City Attorney, and all the Faribault City Council members. The entire e-mail is included in EN 5. Finally, before I heard from Chief Bohlen again, I sent another e-mail in to all the above mentioned Faribault city officials in which I quoted from and linked to MCCULLEN ET AL. v. COAKLEY, ATTORNEY GENERAL OF MASSACHUSETTS, ET AL. a United States Supreme Court case which was handed down June 26, 2014, and also linked to a recent and relevant Texas case. I ended, in part, “I know that you are all busy, but I would ask you to please let the men of OPBC know as soon as you can as to what your city policy is going to be regarding their First Amendment right to speak in the public forum.” The Chief had indicated that he spoke for the City of Faribault, but I wanted to pin all the above persons and the City of Faribault down in case further legal action were required. See En 6 for the entirety of that e-mail. The Chief relented. He left a voice mail and we talked over the phone later. I think that he finally understood the law on the matter and the role of the police. I have retained his voice mail. Our conversation was not recorded, but he said the same thing, for the most part in our conversation as he said in his voice mail. Among other things, he said that he saw the videos, stressed that no one was taken into custody or arrested, that he understood our frustration, that they would respect our First Amendment rights, that the police have an obligation to take calls of complaint, that he wants to make sure that they handled appropriately, and that he has issued the appropriate directives to his officers as to how to take these complaints. He said that they “have an obligation to go out and take these calls” and that he “wants to make sure they are handled appropriately.” He also said something which causes me concern as to whether he truly understands the law, but I will leave that out of this article. He, the Faribault police department, and the city of Faribault through her officials now cannot say that they did not know the law should they violate it. 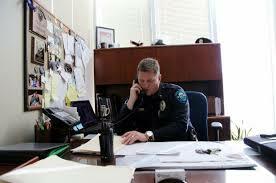 In talking with Chief Bohlen, I believe that he is a good man, a man of his word, and that he truly wants to run his police force according to the law of the land. The men of OPBC know that many smaller towns, unlike larger cities like Minneapolis/St. Paul and Austin TX, have never had to deal with the controversy caused by activism in the public forum. Therefore, they usually do not respond appropriately when citizens complain. This is an indictment against many, and especially against believers and pastors of churches who were instructed by our Lord: “Go ye into all the world, and preach the gospel to every creature.” Had they only done their job, everyone in the land would not only see the power of God and hear the Gospel, but also know the law of the land concerning First Amendment freedoms; then, they might even study the history of how Americans got those freedoms. That study would enlighten them on many matters such as religion (Catholicism, Protestantism, the history of true Baptist believers and churches, the blood of the martyrs which led to the First Amendment) the history of America, etc. Now, as to the results of the studies and discussions between myself and Pastor Jason. My belief is now, as before, that a believer who wishes to speak in the public forum should do all he can, aside from abandoning his calling and duty, to avoid litigation. I know that this is not always possible. Even in this instance, one or more of the men could have been arrested. Since that did not happen, the men of OPBC did all they could to honor God, Chief Bohlen, the Faribault City Officials, and the City of Faribault and avoid litigation. 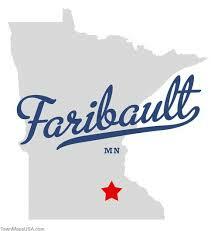 However, had Faribault not relented, we had decided that the next step was to file for federal injunction. Of course, we felt that, through all the correspondence, we had enough to implicate Chief Bohlen, the City Officials, and the City of Faribault. Had we been forced to take that route, we do not believe that a federal judge would have looked kindly on the city’s actions since they had been thoroughly educated as to the law; in one sense, that would not have mattered since there are no damages to be awarded in a successful action for injunction. On the other hand, had the city not relented and had the city violated or should the city in violate the constitutional rights of one or more of our men while speaking in the public forum, I now believe, as do the men of OPBC, that a civil rights lawsuit would be in order. We believe that it would be appropriate, according to the conscience of the person wronged, for the suit to ask for actual damages to any man who lost income or money as a result of being arrested, having to go to court, going to jail, etc. We believe that this is biblically acceptable for several reasons. Ro. 13.8-14 then gives the individual believer’s duty to our fellow citizens. Inherent within that duty is to do God’s bidding and show our love to our neighbors by preaching to them. When a peace officer seeks to terrorize good, not evil, works, he is misusing his God-ordained power – he is executing wrath on the wrong person(s). He is becoming a lawbreaker. Second, the verses I cited at the beginning of this article to support my belief that believers should never sue because of violation of their civil rights did not take into consideration justice. 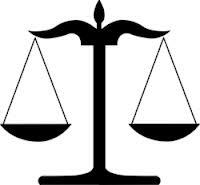 The above verses, and many others inherently include the notion of justice. One can do a word search of “justice” to find out that the Bible specifically speaks much of justice. Psalms 82:3 says, “Defend the poor and fatherless: do justice to the afflicted and needy.” Micah 6.8 says, “He hath shewed thee, O man, what is good; and what doth the LORD require of thee, but to do justly, and to love mercy, and to walk humbly with thy God?” If a man’s family suffers because a government has unlawfully terriorzed and/or persecuted him, justice demands that that family receive restitution (actual damages). Another consideration for the believer who sues for violation of his constitutional rights is his motive – is his primary desire to glorify God by making sure he is not led in any way by covetousness. In Genesis 14, we read that the King of Sodom wished to reward Abraham for saving the good and the people who had been taken forcefully by certain kings and their armies. “And Abram said to the king of Sodom, I have lift up mine hand unto the LORD, the most high God, the possessor of heaven and earth, That I will not take from a thread even to a shoelatchet, and that I will not take any thing that is thine, lest thou shouldest say, I have made Abram rich: Save only that which the young men have eaten, and the portion of the men which went with me, Aner, Eshcol, and Mamre; let them take their portion” (Ge. 14:22-24). “Let your conversation be without covetousness; and be content with such things as ye have: for he hath said, I will never leave thee, nor forsake thee. So that we may boldly say, The Lord is my helper, and I will not fear what man shall do unto me” (He. 13.5-6). The Bible also teaches that a believer is to walk in the spirit, not in the flesh. All actions and battles for a believer and the church he is a member of are spiritual, not material or temporal (See, e.g., Ro. 7.15-25, 8.1-13; 1 Co. 12-13; Ga. 5; Ep. 2.1-10 and the whole book of Ep. ; etc.). A church’s and a believer’s methods and motives in all matters are always to be spiritual and eternal as opposed to fleshly or worldly. The Bible limits what a child of God should seek in restitution. Never should one seek exemplary damages, damages for mental anguish, damages for emotional distress, or any kind of damages which can be characterized as seeking vengeance. One can study out the meaning of the various types of legal damages to determine which can be characterized as “vengeance” damages. A true believer is to rejoice and be exceeding glad when persecuted for the cause of Christ. He is instructed never to seek vengeance since God makes clear that vengeance is His and that he will repay the offender for his unlawful actions. I refer the reader to the verses at the beginning of this article, most of which are reproduced in EN 1 below, for a study of this matter of vengeance and loving one’s neighbor. A complete serious study of the whole word of God would be even more enlightening.One simply cannot get around the fact that those Scriptures which I rely on to say that Christians are not to seek or take vengeance by making the argument that those Scriptures do not apply to the scenario I am considering. My human emotions, flesh, and reasoning tells me to sue for damages, including vindictive damages but the Bible instructs me not to do so. See how LLDF vindicated Rev. Walter Hoye. (1) Do everything possible to avoid having to go to civil (as opposed to criminal) court. If one plans to speak in the public forum within a jurisdiction in which he is unsure if the authorities there are educated as to the law, notify the appropriate official(s) of when and where you will be speaking. If they do not know the law, educate them. Be sure to keep all evidence possible of your communications in case needed in future litigation. (2) If the jurisdiction threatens citation and/or arrest after having been informed of the law, file for injunction in federal court. (3) If you are arrested at any time for violation of your Biblical mandate to preach the Gospel in the public forum and in violation of your Constitutional rights, file a civil rights lawsuit. The only acceptable damages, according to God’s word, is actual damages which keeps one from properly keeping his duty to provide for himself and his family, and even those damages may not always be called for – a believer who is suing must honestly determine if such damages are appropriate. Suing for any type of damages which takes vengeance violates God’s principles. Suing for financial loss which compromises your ability to support your family is Biblically acceptable. I can help get an attorney licensed in your state to practice law to help you. If you are in Austin, Texas or in a nearby county in Texas, I may be able to help you depending upon my schedule. I salute Chief Bohlen for giving his attention to this matter. He is a busy man. He and the officials and citizens of Faribault as well as the men of OPBC are better off for this educational experience. May the education extend to those citizens who have not, to this point, been privy to what has gone on in resolving this matter. May justice prevail now and in the future. This same procedure has had the same results in Minneapolis, St. Paul, Northfield, and Anoka Minnesota. All glory to God! Note. Contextually, in 2.Ti. 3.12 and other verses, when Paul speaks of believers suffering persecution, he means that they will suffer, not fight, persecution. Of course Paul argued within the legal system when falsely accused of crime. He appealed to Rome as a Roman citizen and argued that the facts showed that he was not guilty. He did not have the civil rights given Americans in the Constitution, so one must go deeper into relevant Biblical doctrine to see God’s limits on one’s methods as he enters the civil (as opposed to criminal) law. That is what this article is about. EN 2 “Sec. 17-42. Nuisance noise. https://opbcbibletrust.wordpress.com/sermons/street-preaching/december-25-2013-an-unfolding-street-preaching-battle-in-northfield-minnesota/ You may click the link above and scroll down to “June 21, 2014 Update” to read the story. To verify the story, there are links there to 2 videos which show exactly what happened. I am a lawyer who specializes in “separation of church and state law” and am licensed in Texas, but not in Minnesota. However, as a member of OPBC and as a representative of that church, I – and the church – wish to attempt to resolve a matter involving your police officers in the most reasonable manner, and in a way which does not waste the money of the taxpayers. This is the best way to handle the matter, in my opinion, since the legal issues have already been decided by the United States Supreme Court. Many lawsuits against municipalities, police departments, and individual police officers have already laid out the parameters of the law and shown that the litigation process ends up with taxpayers spending untold thousands of dollars for not understanding and correctly applying the law. The costs to the city and officers involved have included lawyers fees, court costs, time involved for officers and others who become involved, monetary judgments in favor of those whose legal rights have been violated, etc. OPBC wishes to act in a manner consistent with what the Bible teaches in resolving this matter and avoid further action. We wish to show you our love for you and your city by peaceful resolution. The church has already contacted the Alliance Defense Fund (“ADF”) and an ADF lawyer has told us to call if needed and they will get a lawyer who practices in your jurisdiction on it quickly. What we would ask from the city is (1) a writing from a city official (Chief Bohlen, City Attorney, Fischer, or the mayor) stating that the Faribault police have been informed of the law regarding free speech in the public forum that can be presented in the future to officers who might attempt to abuse the preachers again and also stating that Faribault police officers have been educated in the law concerning speech in the public forum in America, (2) a written apology from the officer who assaulted the preacher, and (3) an apology from the lady officer who did almost all the talking. As you can see from the information on that tract and on the website pages, this matter has already been resolved in Northfield, Minnesota without court action in favor of the street preachers from OPBC. https://opbcbibletrust.wordpress.com/contents/online-version-of-the-book-god-betrayed/the-history-of-the-first-amendment/ The free PDF of the book is at: https://opbcbibletrust.wordpress.com/contents/books/god-betrayedseparation-of-church-and-state-the-biblical-principles-and-the-american-application/3812-2/ One may find order information (available in both Kindle and softback) at: https://opbcbibletrust.wordpress.com/book-reviews/order-information/ “An Abridged History of the First Amendment” is available free at: https://opbcbibletrust.wordpress.com/contents/books/an-abridged-history-of-the-first-amendment/ That booklet is only published online. Please contact me as soon as possible concerning this matter. I talked with Attorney Fischer on the phone a little while ago and he suggested calling Chief Bohlen. I called Chief Bohlen and left a voice mail. Our hope is that this whole matter will glorify God, uplift all involved and bring us closer together in love, strengthen and enforce principles which have made America great, and increase all our knowledge, wisdom and understanding of a vital matter. “And now abideth faith, hope, charity [God’s type of love], these three; but the greatest of these is charity” (1 Corinthians 13.13). P.S. Should you call and get a voice mail, please leave a message and I will return your call as soon as possible. Thank you for your e-mail reply on June 26, 2014. I have been working on this reply for several days. I believe we are getting closer, although still a long way from, a resolution to this problem. It appears to me that I will not be able to resolve this by communicating with you, but I am making an attempt to do so at the request of your city attorney. Again, let me say that I am acting on behalf of the men who were there street preaching, not as an attorney. We are all members of OPBC, a non-legal entity, a First Amendment church (I will not explain what that means other than to say individual men are involved, and no legal entity). The street preachers of OPBC are doing everything possible to get this matter resolved without taxing the city, the church, and the court system. They are ordered by the Bible to love all men and so they are showing their love to you, your city attorney, your city elected officials, your police force, all your city peace officers, and the citizens of your city by proceeding according to the directives of the word of God. They wish to give all their energy to obedience to the Lord which includes preaching the Gospel in public. They have no desire to bring in an attorney who may ultimately ask for certain damages and attorney’s fees which may burden you all in the form of tax dollars used to pay court ordered judgments. They will do that only as a final resort if all efforts to get this resolved according to the law of the land fail. Let me say that I contacted you because your city attorney, Kurt Fischer, asked me to do so. I wished to take the matter up with him, but out of courtesy, I decided to comply with his request. I am cc’ing this to the mayor, the city council members, and the city attorney. Since in your last e-mail you stated that your position is that of the police department and the city of Faribault, I am sending this letter with a note (included above this letter the mayor to you, the city council members, and the city attorney. it is included, as you know, in your letter since you saw it before getting to this part of the correspondence.). In this letter, I will (1) apologize; (2) give you a link to a Youtube video of a policeman interacting with the men of OPBC on June 28, 2013 as they preached at a “gay” pride event, a link to a website page which shows what happened in Northfield MN when people complained about the street preaching in downtown Northfield and my credentials to speak on these matters; (3) present requests for clarification of your position and some other matters; (4) speak to the assault issue; (5) give you specific law which clearly proves that it is unlawful for a police officer to arrest someone under color of certain types of statutes (disorderly conduct, nuisance, littering, etc.) laws when they are speaking in the public forum; (6) Conclude. I wish to apologize to you for what I feel I been wrong in my prior correspondence. I sent you a ton of educational material. I ask you to forgive me for that. The material I sent contained the law concerning the issue we are confronting. I should have specifically given you the important law. Below, I will present what it says and will attach the United States Supreme Court Cases which have laid down the law. You see, I am not the law, the city attorney is not the law, and the police are not the law; nor does any of our opinions have legal effect. The Supreme Court is the law of the American legal system and their opinions are the standard. If their opinion violates the highest law, then they will ultimately pay the price, but that is not our problem. Please forgive me for not being specific. Let me also apologize for not checking Minnesota law and referring to that when I mentioned what I still feel was an assault by the “officer” in the video. As a citizen of America, I feel the same way the men approached by the Faribault “officials” (I will refer to them all that way, with the understanding that some of them were not “your” officers.). I will clarify below what I meant. I am offended when someone comes up to me and puts their hands, fingers, feet or anything else on me in a negative way, especially if I am doing nothing illegal. I consider that type of action against me to be an assault. I am even more offended when a “peace officer” does so; especially if he says that I can’t do something that is legal, as declared by the U.S. Supreme Court (for example, tells me that a city ordinance trumps the First Amendment which is directly the opposite of the truth – see below for the law), and tells me I am going to jail. Finally, let me briefly explain that I both led and participated in the street preaching ministry of an Austin TX church for about 20 years. Over that time, many complaints were made to the police – “I am offended,” “I am alarmed,” “You can’t do that,” “The place for this is in the ‘church’ building, not on the street,” “You are making people mad,” “You are in front of my business (where we were closer to the door of the business in busy pedestrian and vehicle traffic than in the incident you mentioned there in Faribault, etc. We were careful not to be so close to his business door that we impeded the progress of pedestrians in any way.). What did the police do to us – they explained the law to the people and protected us. I was assaulted more than once and spit on during those times. One man assaulted me and left to get in a taxi, but some policemen detained him and talked to him. Then the policeman came up to me and said that the man stated that I assaulted him, but that he saw the whole thing and said I could complain and he would arrest the man for assault. I told him that I came to help, not hurt, people and thanked him for protecting us and for all his good work as a peace officer. 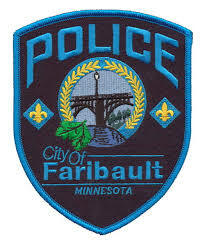 My first request involves your position.According to your letter, your position is the position of both the city of Fairbault and also the Fairbault police department. I will try to contact the city officials and the city attorney to verify that. If we need to go further, we wish to include everyone involved in any civil actions that may follow. We do not wish to go that route, but just in case. I will be attempting to discuss this with the city attorney and officials so they will not be surprised; and also to allow them to verify or deny whether they share your position and whether your position is also the policy of the city, the city officials, and the city attorney. My second request is for your clarification of your position – what will happen if the preachers preach in your town? I will give my interpretation of your e-mail and ask if it is correct. If it is not, may I ask that you clearly state your position? Again, may I ask if your position is the express or understood position of the city of Fairbault? If so, how and where may I verify their position? I will be asking your city attorney and city officials (those who I and get an e-mail address for) their position and policy and the position and/or policy of the city in the next few days. Let me give you my interpretation of your position. You said that a citation can and will be issued for disorderly conduct just for street preaching. You then want a judge to decide the issue. As I read it, you believe that police can cite and/or arrest a street preacher because people are offended and alarmed in violation of Noribault City Ordinance Section 17-42. I agree with you that police can do so. I disagree that they can do so lawfully because Supreme Court case law (quoted below) makes crystal clear that the First Amendment forbids it – the First Amendment trumps Section 17.42 and all the disorderly conduct and nuisance statutes in America. By explicit law (see below) the Supreme Court has already decided this issue and lower federal courts have already, on many occasions, awarded damages to American citizens who filed civil rights (42 U.S.C.S. § 1983) lawsuits against officials who unlawfully arrested them under various statutes (including disorderly conduct statutes) for speech activity in the public forum. Of course, a street preacher can be cited and arrested for some crimes such as assault or criminal trespass even if he is street preaching (as long as the alleged crime is not just a pretext for arrest). Police have unlawfully (in violation of the First Amendment) arrested and/or cited street preachers and others who were speaking in the public forum and charged them with disorderly conduct, littering (when in fact, as proven in court, others were littering by throwing Gospel tracts given them by street preachers in the street), and other crimes. Ultimately, the results were acquittal, many cases being dismissed without trial, some going to trial and acquitted, some being convicted, but exonerated on appeal. Those processes have resulted in clear definition of what the law is for those who know how to research it. The law regarding freedom of speech in the public forum has also been developed in other ways. In some cases, those whose constitutional rights have sued police officers (I will not, at this time, explain the law of qualified immunity of government officials) and cities and city officials successfully under the Civil Rights Act (42 U.S.C.S. § 1983). All that because the police and maybe the city and city officials did not know the law and, instead of doing their jobs and protecting the law-abiding preachers or other citizens who were involved in protected speech in the public forum, became a law unto themselves and abused their duty to uphold the law. Ignorance of the law is no excuse. The street preachers of OPBC truly wish to avoid all that. They have no desire to get anything from anyone unless your unlawful actions continue, their freedom of speech rights are violated, and/or you deprive them of their livelihood needed to take care of their families. Just being forced unlawfully to go to court by summons and/or arrest will interfere with these men’s ability to do their secular jobs and provide for their families. They will not seek vengeance, but they will seek justice. Hopefully, justice will be served without court action. They will love you, as ordered by God in his word which means they will do everything in their power to resolve this in the most expeditious manner possible without lawsuit or other court action. In addition, your citizens deserve better than that. What they need to know is the truth. According to the United States Supreme Court, here is no right not to be offended or alarmed in the public forum in America. I will give you some Supreme Court quotes below. Most thinking people, myself included, are offended or alarmed by something they see or hear every time they venture out in public. These men could have been offended by the unlawful actions of your officers and by the unlawful responses of the members of your community who called the police in hopes of arresting their protected speech. On top of all that, your proposal that the men come preach, get a summons, go to court, and let the court decide leaves some very important questions. The men probably left later than they would have had the officers not interrupted them by violating their civil rights. What would happen if we followed your proposal and after the summons issued, kept preaching another hour? Two more hours? More complaints and more summons? Or would the preacher(s) be arrested? What if they came back to preach on the streets of Noribault before the judge decided the case or before the appeal, if needed, were finished? More citations, summons, possible arrests? Another important question is why should anyone go through this ridiculous exercise for a matter that has already been decided by the United States Supreme Court? Again, I will offer specific law below. I will attempt to get your city attorney to look at this. It is his job. I will also point it out to any city officials for whom I can obtain an e-mail address. In Northfield, the exact same thing happened, a police officer took it on himself to go to the city attorney, and the city attorney explained that the police could do nothing about street preaching under disorderly conduct, nuisance or other similar laws. I do not know exactly how much detail the city attorney gave, but the police in Northfield now abide by and understand their role. No civil suit of any kind with the collateral consequences to the city, to individual officers, to city officials, to the city attorney, and to the citizens of Northfield (of course, the consequences against the citizens would be indirect since it would all be paid for by their tax dollars). Again, the St. Paul/Minneapolis officers also know and act upon the law as shown in the video linked to above. By the way, as to the incident at the liquor store, you officers were in the wrong there as well, as far as the video indicates. Paul, I do not believe, did not impede or intimidate customers. He may have offended them or scared them by telling them that the Bible teaches that “except ye repent, ye shall all likewise perish,” of by some other constitutionally protected speech. I will have to talk to him more about that. No need to get into great detail about that here. The main thing is that these two incidents (both of which I have on DVD) are establishing a pattern. My third request is to ask you if you will send me the names, badge numbers (if any), and service or citation addresses of all the personnel who were involved in the incident and the liquor store incident. If similar incidents occur, I will remind the street preachers to get the names and badge numbers of all officers involved, and the names, addresses and phone numbers of any non-peace officers involved. Please instruct your officers to give that information if requested or not in the event of future incidents of the same nature. We would especially like to know the name and contact info. for the person who “tapped the preacher on the arm” ordered him to get down and said “he can’t do that, he’s going to jail,” etc. From whom did he get his authority? I will get the names and e-mail addresses s of the city officials, if possible, off the city website. As you know, I already have all the contact info. for the city attorney. Having all that information will speed up whatever court action(s), if any, takes place regarding this matter. If such action is necessary, OPBC will turn all the info over to the attorney who handles the case(s), thus lowering his billable hours. 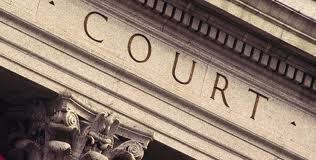 He will ask for attorney’s fees as well as for certain types of damages should a 1983 action be initiated. If I were licensed in Minnesota, I would handle it all myself pro bono without asking for anything more than out of pocket expenses be awarded by the court. My work on these type matters has always been pro bono. I regret that I cannot save you money in that way. Although the assault point is moot and although neither Mr. Pearson nor any of the other men will try to proceed on an assault charge, I must give it some attention in answer to your comments. These people are true Christians. If our Lord could suffer as he did at the hands of the religious and political crowds (because they were alarmed and offended because of what he said. We know the real reason for his crucifixion – my sin, your sin and the sins of the whole world put him on the cross), surely we can suffer such a minute affront from the same crowd. In fact, we are told to suffer such tribulation with joy. As to Minnesota law, I offer the following sections from the 2013 Minnesota Statutes: 609.02 DEFINITIONS. “Subdivision 1.Crime.“Crime” means conduct which is prohibited by statute and for which the actor may be sentenced to imprisonment, with or without a fine…. … “Subd. 4a.Petty misdemeanor.“Petty misdemeanor” means a petty offense which is prohibited by statute, which does not constitute a crime and for which a sentence of a fine of not more than $300 may be imposed…. “Subd. 10.Assault. “Assault” is: “(1) an act done with intent to cause fear in another of immediate bodily harm or death; or “(2) the intentional infliction of or attempt to inflict bodily harm upon another.” 609.2231 ASSAULT IN THE FOURTH DEGREE. “Subdivision 1.Peace officers. “Whoever physically assaults a peace officer licensed under section 626.845, subdivision 1, when that officer is effecting a lawful arrest or executing any other duty imposed by law is guilty of a gross misdemeanor and may be sentenced to imprisonment for not more than one year or to payment of a fine of not more than $3,000, or both. If the assault inflicts demonstrable bodily harm or the person intentionally throws or otherwise transfers bodily fluids or feces at or onto the officer, the person is guilty of a felony and may be sentenced to imprisonment for not more than three years or to payment of a fine of not more than $6,000, or both.” [This states that an assault can occur when there is no demonstrable bodily harm.] Given all the officer said and did, I consider it to be an assault. If I had been the preacher, I would have feared that something more physical (additional unlawful physical force against my person and possible unlawful arrest which usually involves at least some force such as handcuffing) was going to occur. That is the way Paul Pearson felt after the assault. He expressed that sentiment to others who were with him. That can be inferred from what the officer did and said and the way he did and said it. Since it was an officer, I would have had more fear of further unlawful action than if a non-peace officer had inflicted the assault. He, unlike a non-officer, was acting under color of law. Actions against a peace officer, even in self-defense against unlawful action, have resulted in harsh retaliation followed by lies about what happened. Most informed Americans now understand that police can become brutal at the drop of a hat and will lie about it if they think they can get away with it. Cameras help the citizen. One case in point involved Rodney King. Should not law-abiding Americans expect their peace officers to treat them with dignity and know the law? Again, since these street preachers are believers who follow the Lord Jesus Christ, and even though they are physically strong, they are very unlikely to exercise force against and physically hurt anyone unless protecting their families against harm. The cases below are from the United States Supreme Court. These cases, and many others, clearly lay out the law which a peace officer is entrusted to enforce as regarding those who speak in the public forum (this includes those who preach in the public forum). 1. …The freedom of speech and press are among the fundamental personal rights and liberties which are secured to all persons by the Fourteenth Amendment against abridgment by the state. Thornhill v. Alabama, 310 U.S. 88, 95, 60 S.Ct. 736, 740, 84 L.ED. 1093 (1940). 2. Freedom of speech includes not only the spoken word, but also speech-related conduct, such as picketing, the wearing of arm bands and, in some recent highly publicized cases, flag burning as a type of political protest. Virginia State Board of Pharmacy v. Virginia Citizens Consumer Council, Inc., 425 U.S. 748, 756. 4. [Government control of access to its property, public forums, littering] The extent to which the government can control access to its property for expressive purposes depends on the nature of the forums. Reed v. State, 762 S.W.2d 640, 643 (Tex. App.—Texarkana 1988, pet. Ref’d) citing Cornelius v. NAACP Legal Defense & Education Fund, 473 U.S. 788, 105 S.Ct. 3489, 87 L.Ed. 567 (1985); Olvera v. State, 806 S.W.2d 546 (Tex. Crim. App. 1991). Public forums are those areas which traditionally have been devoted to assembly and public debate, such as public streets, sidewalks, and parks. Id. “[The] Streets are natural and proper places for the dissemination of information and opinion; and one is not to have the exercise of his liberty of expression in appropriate places abridged on the plea that it may be exercised in some other place.” Thornhill v. Alabama, 310 U.S. 88, 97-98, 102, 105-106, 60 S.Ct. 736, 741-742, 744, 746, 84 L.Ed. 1093 (1940). Substantive evils within the allowable are of state control are obstructing or unreasonable interfering with ingress to and egress for enumerated public places, blocking sidewalks, obstructing traffic, littering streets, committing assaults, and engaging in countless other forms of anti-social conduct. Olvera v. State, 806 S.W.2d 546, 548-549 (Tex. Crim. App. 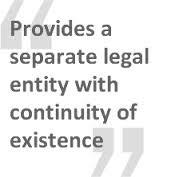 1991) citing Coates v. Cincinnati, 402 U.S. 611, 91, S.Ct. 1686, 29 L.Ed.2d 214 (1971) and Cameron v. Johnson, 390 U.S. 611, 88 S.Ct. 1335, 20 L.Ed.2d 182 (1968). Evil within allowable areas of state control include molestation or interference with person and vehicles, obstruction of pedestrians and automobiles, threatening or intimidating or coercing anyone, making loud noises, unpeaceful and disorderly conduct, acts of violence, and breaches of the peace.See, e.g., Carlson v. California, 310 U.S. 106, 60 S.Ct. 746, 84 L.Ed. 1104 (1940), Thornhill v. State of Alabama, 310 U.S. 88, 60 S.Ct. 736 (1940), Olvera v. State, 806 S.W. 2d 546 (Tex. Crim. App. 1991). Municipal legislation meant to keep community streets open and available for movement of people and property is constitutional so long as the legislation does not abridge constitutional liberty of one to impart information through speech and distribution of literature. Schneider v. State, 308 U.S. 147, 160, 60 S.Ct. 146, 150, 84 L.Ed. 155 (1939). Crimes may be punished by law, but the freedom of speech and the press may not be abridged in the guise of regulations by the governing entity to prevent littering, fraud, or to promote the public health, welfare, or convenience. Id. While declaring laws unconstitutional which infringe upon first amendment rights, the Court has made clear what a city may do to punish evils within the allowable areas of state control: “[A] city is free to prevent people from blocking sidewalks,obstructing traffic, littering streets, committing assaults, or engaging in countless other forms of anti-social conduct. It can do so through the enactment and enforcement of ordinances directed with reasonable specificity toward the conduct to be prohibited.” Coates v. Cincinnati, 402 U.S. 611, 91, S.Ct. 1686, 29 L.Ed.2d 214 (1971). 7. [Disorderly conduct] In Gooding v. Wilson, 405 U.S. 518, 92 S. Ct. 1103, 31 L. Ed. 2d 408, a defendant was found guilty of using opprobrious words and abusive language in violation of a Georgia statute. The Fifth Circuit Court of Appeals declared the statute unconstitutionally vague and broad and set aside defendant’s conviction. “The constitutional guarantees of freedom of speech forbid the States to punish the use of words or language not within “narrowly limited classes of speech.” Chaplinsky v. New Hampshire, 315 U.S. 568, 571 (1942). Even as to such a class, however, because “the line between speech unconditionally guaranteed and speech which may legitimately be regulated, suppressed, or punished is finely drawn,” Speiser v. Randall, 357 U.S. 513, 525 (1958), “in every case the power to regulate must be so exercised as not, in attaining a permissible end, unduly to infringe the protected freedom,” Cantwell v. Connecticut, 310 U.S. 296, 304 (1940).” Government may pass laws which punish “fighting words.” In Chaplinsky, we sustained a conviction under Chapter 378, § 2, of the Public Laws of New Hampshire, which provided: “No person shall address any offensive, derisive or annoying word to any other person who is lawfully in any street or other public place, nor call him by any offensive or derisive name . . . . ‘Chaplinsky was convicted for addressing to another on a public sidewalk the words, ‘You are a _ _ _ damned racketeer,’ and ‘a damned Fascist and the whole government of Rochester are Fascists or agents of Fascists.’ Chaplinsky challenged the constitutionality of the statute as inhibiting freedom of expression because it was vague and indefinite. The Supreme Court of New Hampshire, however, ‘long before [*523] the words for which Chaplinsky was convicted,’ sharply limited the statutory language ‘offensive, derisive or annoying word’ to ‘fighting” words’: “No words were forbidden except such as have a direct tendency to cause acts of violence by the person to whom, individually, the remark is addressed. . . .
“The test is what men of common intelligence would understand would be words likely to cause an average addressee to fight. . . . Derisive and annoying words can be taken as coming within the purview of the statute . . . only when they have this characteristic of plainly tending to excite the addressee to a breach of the peace…. As to the “breach of the peace” charge, the Court stated that its independent examination of the record, which it is required to make, shows no conduct which the state had a right to prohibit as a breach of the peace. Id. At 545, 85 S.Ct. at 459. In addressing the “obstructing a public passage” conviction, the Court addressed the issue of the “right of a State or municipality to regulate the use of city streets and other facilities to assure the safety and convenience of the people in their use and concomitant right of the people of free speech and assembly.” Id. At 554, 85 S.Ct. at 464. There was no doubt that the sidewalk was obstructed by the picketers. Id. At 553, 85 S.Ct. at 464. The Court said that the statute, as applied, violated the appellant’s Constitutional guarantees of freedom of speech andassembly. Id. At 558, 85 S.Ct. at 466. 9. [As to when a governmental entity seeks to take away one’s freedom to display signs and banners in conjunction with his protected speech.] A municipality in Carlson v. People of State of California, 310 U.S. 106, 60 S.Ct. 746, 84 L.Ed. 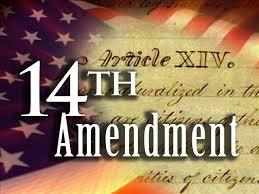 1104 (1940) sought to enforce an ordinance which directly infringed on appellant’s freedom of speech. 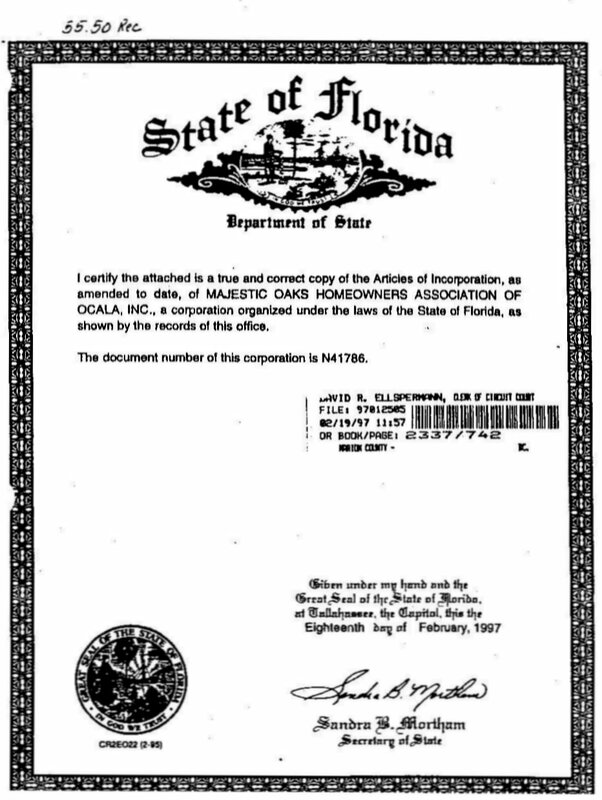 Carlson declared unconstitutional a municipal ordinance which declared it unlawful for any person, in or upon any public street, highway, sidewalk, alley or other public place … to carry or display any sign or banner in the vicinity of any place of business for the purpose of inducing or attempting to induce an person to refrain from purchasing merchandise or performing services or labor. Id. (emphasis mine). [Appellant had displayed an American flag upside down out of his apartment window with a peace symbol attached. at 405-406. The Court noted, and the state conceded, that appellant engaged in a form of communication. at 409, 94 S.Ct. at 2729-2730. To apply an ordinance to prevent the display of banners or signs in conjunction with protected speech activity violates the speaker’s right to freedom of speech and the rights of the people to whom the speech was directed. “An assertion that ‘Jesus Saves,’ that ‘Abortion is Murder,’ that every woman has the ‘right to Choose,’ or that ‘Alcohol Kills,’ may have a claim to constitutional exemption from the ordinance [which prohibited certain political campaign signs] that is just as strong as ‘Roland Vincent—City Council.’ To create an exception for … political speech and not these other types of speech might create a risk of engaging in constitutionally forbidden content discrimination.” Members of City Council v. Taxpayers for Vincent, 466 U.S. 789, 104 S.Ct. 2118, 80 L.Ed. 772. Under the Equal Protection Clause of the Fourteenth Amendment, not to mention the First Amendment itself, government may not grant the use of a forum to people whose views it finds acceptable, but deny use to those wishing to express less favored or more controversial views. Police Department of City of Chicago v. Mosley, 408 U.S. 92, 96, 92 S.Ct. 2286, 2290, 33 L.Ed. 212 (1972)(Holding a Chicago ordinance unconstitutional under the Equal Protection Clause of the Fourteenth Amendment in a case where the equal protection claim was closely intertwined with First Amendment interests)(p 27 of brief). Once a forum is opened up to assembly or speaking by some groups, government may not prohibit others from assembling or speaking on the basis of what they intend to say. Id. Selective exclusions from a public forum may not be based on content alone, and may not be justified by reference to content alone. Id. Mr. Justice Black called an attempt by a government to pick and choose among the views it is willing to have discussed in picketing activities “censorship in its most odious form, unconstitutional under both the First and Fourteenth Amendments.” Cox v. Louisiana, 379 U.S. 536, 85 S. Ct. 453, 13 L.Ed. 2d 471 (1965) cited in 408 U.S. 92, 98-99, 92 S.Ct. 2291; Carey v. Brown, 477 U.S. 455, 100 S.Ct. 2286, 65 L.Ed. 263 (1980) reaffirmed Mosley. Even if the purpose of an ordinance does not specifically aim at protected speech, it may indicectly attempt to deny freedom of speech (See p. 34 of brief in the Steve Drake case which is in PDF form on the website.). Even if the purpose of [an ordinance] is to keep community streets open and available for movement of people and property or to prevent littering, fraud, to promote the public health, welfare, or convenience, to prevent breaches of the peace or other crimes, it is constitutional only so long as it does not abridge constitutional liberty or one to impart information through speech and the distribution of literature. See Schneider v. State, 308 U.S. 147, 60 S.Ct. 146, 84 L.Ed. 155 (1939); Coates v. Cincinnati, 402 U.S. 611, 91 S.Ct. 1686, 29 L.Ed. 2d 214 (1971); Cox v. State of Louisiana, 379 U.S. 536, 85 S.Ct. 453 (1965). EN 5 I sent the e-mail below to the Faribault Mayor, City Attorney, City Council members, and Chief Bohlen. In the e-mail was the note. Attached to the e-mail was a link to the online article which described what happened and linked to the Youtube videos which showed what happened [I am omitting that here since one can go directly to the link to see it], some other information, my letter to Chief Bohlen which had replied to his June 26 letter, and a final letter to all the above mentioned Faribault officials. Note to City Attorney Fischer, Mayor Jasinske, and Faribault City Council members: The letter to Chief Bohlen is below this rather lengthy note. The city attorney asked me to call Chief Bohlen rather than seeking resolution through him. Out of courtesy, I complied with his request even though I did not personally feel that a police officer would have the necessary expertise to delve into the legal issues. I do not mean that as an insult. I can tell from his e-mail, which is copied and pasted at the end and which was very courteous, that Chief Bohlen has the best interests of everyone at heart; but I could also tell that he does not understand the law regarding these matters. He discussed the proper protocols in his letter; I have no quarrel with that when applied to lawbreakers. However, when that protocol is used against law-abiding citizens, it makes the officer who applies it a lawbreaker subject to civil, if not criminal, litigation. I would not know how to do the job of law enforcement because I have no law enforcement training. That is his expertise. Examining, understanding, and litigating the law is mine. That is why the other members of Old Paths Baptist Church (“OPBC”) asked me, a lawyer, to try to resolve this matter as a member of OPBC without bringing in a lawyer. Should legal action come about, an attorney who is licensed in Minnesota (or a pro hoc vice attorney) will represent the men. Although the Chief understands police protocol, he reveals in his letter that he understands neither (1) the law of free speech in the public forum and the freedom of those who exercise their First Amendment speech rights in that forum nor (2) the role of the police officer when such speech is complained about. Chief Bohlen stated in the letter: “The City of Faribault will continue to enforce the law and protect all citizen rights, as well as free speech.” In that statement, he indicates that he speaks for the City of Faribault. I want to make sure that is so because he also stated, “I am confident that our State Statute would comply with the Hierarchy of Law and win challenges.” That is the first time he mentioned “our state statute.” I do not know which statute he is talking about since the officers who approached the men cited a city statute. He then gave his legal opinion concerning the relationship between the law of free speech in America and the guidelines he follows concerning enforcement of certain state and local ordinances when such ordinances come into conflict with Constitutionally protected speech in the public forum. I take great issue with his legal position; I believe that he is totally off base. I want to make sure that the Chief speaks for you all before proceeding. I would ask that you all review these matters. I need to know for sure that Chief Bohlen is, in fact, stating the official position of you all so that in the event future action is called for, our attorney will know who to include in any legal litigation. Should an attorney be called in to take legal action on behalf of the street preachers, he will be informed of your actions and responses – common sense would dictate that no response on your part will indicate that your position and the city’s position is that you support Chief Bohlen’s position and actions and that he speaks for you. You speak for your city. Whatever position you take will also implicate the entire city. Notice that on the above entry and in the copied and pasted page below are links to 2 Youtube videos which you may view which record the whole encounter with the Faribault officials. I got the e-mail addresses of the mayor and council members off the city website. Council member Albers or Ablers his 2 spellings which differ – one in the spelling of his name and one in the e-mail listing. If the addresses and names are no longer the same, please let me know. You may read the cases I cite for yourselves to verify that I am not trying to deceive you. If you would like to have a case or cases which is cited below e-mailed to you, let me know. I have most of the cases I quote from below available in Word documents. The letter was included in the e-mail. I am not reproducing it here since it is in EN 3 Above. The Supreme Court, on June 26, 2014, handed down another First Amendment speech case dealing with speech in the public forum. In a 9-0 decision, the Court struck down a Mass. law which violated long established principles regarding speech in the public forum. The case is linked to below (just click the name to go directly to it). I have included some quotes from the case. I also link to a Texas case which just came down in which police arrested a street preacher and the Texas Court ruled in his favor. Please take note of these cases. Held: The Massachusetts Act violates the First Amendment. Pp. 8–30. (a) By its very terms, the Act restricts access to “public way[s]” and “sidewalk[s],” places that have traditionally been open for speech activities and that the Court has accordingly labeled “traditional public fora,” Pleasant Grove City v. Summum, 555 U. S. 460, 469. The government’s ability to regulate speech in such locations is “very limited.” United States v. Grace, 461 U. S. 171, 177. “[E]ven in a public forum,” however, “the government may impose reasonable restrictions on the time, place, or manner of protected speech, provided the restrictions ‘are justified without reference to the content of the regulated speech, that they are narrowly tailored to serve a significant governmental interest, and that they leave open ample alternative channels for communication of the information,’ ” Ward, supra, at 791. Pp. 8–10…. (1) The buffer zones serve the Commonwealth’s legitimate interests in maintaining public safety on streets and sidewalks and in preserving access to adjacent reproductive healthcare facilities. See Schenck v. Pro-Choice Network of Western N. Y., 519 U. S. 357, 376. At the same time, however, they impose serious burdens on petitioners’ speech, depriving them of their two primary methods of communicating with arriving patients: close, personal conversations and distribution of literature. Those forms of expression have historically been closely associated with the transmission of ideas. 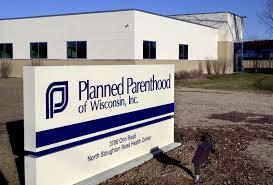 While the Act may allow petitioners to “protest” outside the buffer zones, petitioners are not protestors; they seek not merely to express their opposition to abortion, but to engage in personal, caring, consensual conversations with women about various alternatives. It is thus no answer to say that petitioners can still be seen and heard by women within the buffer zones. If all that the women can see and hear are vociferous opponents of abortion, then the buffer zones have effectively stifled petitioners’ message. Pp. 19–23. (2) The buffer zones burden substantially more speech than necessary to achieve the Commonwealth’s asserted interests. Subsection (e) of the Act already prohibits deliberate obstruction of clinic entrances. Massachusetts could also enact legislation similar to the federal Freedom of Access to Clinic Entrances Act of 1994, 18 U. S. C. §248(a)(1), which imposes criminal and civil sanctions for obstructing, intimidating, or interfering with persons obtaining or providing reproductive health services. Obstruction of clinic driveways can readily be addressed through existing local traffic ordinances. While the Commonwealth contends that individuals can inadvertently obstruct access to clinics simply by gathering in large numbers, that problem could be addressed through a law requiring crowds blocking a clinic entrance to disperse for a limited period when ordered to do so by the police. In any event, crowding appears to be a problem onlyat the Boston clinic, and even there, only on Saturday mornings. It is no accident that public streets and sidewalks have developed as venues for the exchange of ideas. Even today, they remain one of the few places where a speaker can be confident that he is not simply preaching to the choir. With respect to other means of communication, an individual confronted with an uncomfortable message can always turn the page, change the channel, or leave the Web site. Not so on public streets and sidewalks. There, a listener often encounters speech he might otherwise tune out. In light of the First Amendment’s purpose “to preserve an uninhibited marketplace of ideas in which truth will ultimately prevail,” FCC v. League of Women Voters of Cal., 468 U. S. 364, 377 (1984) (internal quotation marks omitted), this aspect of traditional public fora is a virtue, not a vice. In short, traditional public fora are areas that have historically been open to the public for speech activities. Thus, even though the Act says nothing about speech on its face, there is no doubt—and respondents do not dispute—that it restricts access to traditional public fora and is therefore subject to First Amendment scrutiny. See Brief for Respondents 26 (although “[b]y its terms, the Act regulates only conduct,” it “incidentally regulates the place and time of protected speech”). In short, traditional public fora are areas that have historically been open to the public for speech activities. Thus, even though the Act says nothing about speech on its face, there is no doubt—and respondents do not dispute—that it restricts access to traditional public fora and is therefore subject to First Amendment scrutiny. See Brief for Respondents 26 (although “[b]y its terms, the Act regulates only conduct,” it “incidentally regulates the place and time of protected speech”). Consistent with the traditionally open character of public streets and sidewalks, we have held that the government’s ability to restrict speech in such locations is “very limited.” Grace, supra, at 177. In particular, the guiding First Amendment principle that the “government has no power to restrict expression because of its message, its ideas, its subject matter, or its content” applies with full force in a traditional public forum. Police Dept. of Chicago v. Mosley, 408 U. S. 92, 95 (1972). As a general rule, in such a forum the government may not “selectively . . . shield the public from some kinds of speech on the ground that they are more offensive than others.” Erznoznik v. Jacksonville, 422 U. S. 205, 209 (1975). Click the following to go to article from June 13, 2014: “VICTORY: Texas Court Affirms First Amendment Rights of Street Preachers Arrested for Engaging in Sidewalk Protest and Crossing a Police Line.” Click the following to go to the Texas Court of Appeals opinion: Faust v. Texas. I know that you are all busy, but I would ask you to please let the men of OPBC know as soon as you can as to what your city policy is going to be regarding their First Amendment right to speak in the public forum. Thank you for your courtesies in this matter and for your quick attention to the Constitutional issue. EN 7. Followup discussion of this article. 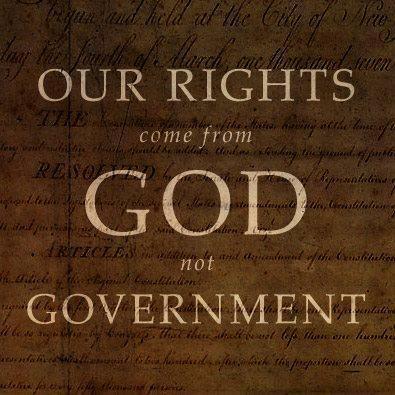 (1) We are not to sue a “Brother”, I do not see anything in GOD’S WORD about suing the Government. (2) Paul invoked his rights as a Roman citizen several times, including an appeal to Caesar. Dear Brother _____________ and Brother _______________, Thank you both for not labeling me an heretic and cutting off fellowship because of the article. One brother, a longtime friend, did this. I let him know that I still love him and see no reason for breaking fellowship over this matter, to no avail. He has been the only negative response. Others agree with me. Still other, I am guessing, may not agree but have not seen it as an issue to get crossways and break fellowship over. Nor do I. Are we not to sharpen one another as we fight this spiritual warfare we are called to engage in? No one has shown me where I am wrongly interpreting the scriptures I gave in the article, many of the quoted word for word in endnote 1. Those scriptures lay out the principles upon which I rely for my position. Let me address Paul and what he did. Paul invoked his rights as a Roman citizen while he was under arrest, at times incarcerated during that arrest (sometimes, as I understand history, he was under house arrest – the point is, he was being detained.). In other words, Paul was charged with criminal activity. He was falsely accused of a crime for which the religious leaders sought death. He defended himself. I have done the same thing for others on many occasions. I have defended people falsely accused of crime and gone all the way to trial for some. A few of those I have defended at no charge and gone to trial for were falsely accused of criminal activity and arrested in violation of their Constitutional rights. There is nothing in Scripture which would be offended by such action. In fact, seeking justice in such a situation is the right thing to do. However, my article was not concerned with seeking justice in the criminal system. My article addressed seeking vengeance in the civil system. I pointed out that I could not argue against seeking justice and restitution in a suit against the government. The Bible speaks to the issue of restitution, and I believe allows for such in the law. It also speaks of justice and upholds justice. But the Bible is very clear that the believer is not to seek vengeance. Paul did not seek vengeance while incarcerated. Paul did not sue those who falsely accused him. Had he had the opportunity, I do not believe he would have violated principles he knew from the Old Testament and which God inspired him to write on in his epistles. I am convinced that he would never have sued for even restitution, much less for damages for pain and suffering and other exemplary damages, the purpose of which is to exact vengeance.I do not believe that he would have even sued for restitution, a stressful and time consuming process. I believe that he would have used the time and resources in carrying out the Great Commission, a thing which he did even while under arrest. A man who has a family to support in today’s world might find it necessary to seek restitution for lost wages and other costs of being falsely arrested. I would have no problem with that and might even help in the legal arena, if possible. I would certainly help that person find a lawyer in his locality to help if I were unable to do so because of distance and lack of monetary resources. That is my answer. Can either of you show me where I am wrong? I sent a second reply: Dear Brother _____________, I did not address your concern in the last reply. When one sued government for vengeance, who pays for the judgment – one’s fellow man. Government gets its money from the citizens. The citizens are the ones who pay the vengeance damages.